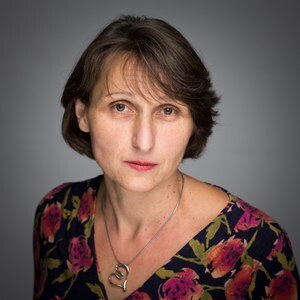 After ten years with the EQUATOR Network, Iveta Simera has moved on from her post as founding Deputy Director of the UK EQUATOR Centre, joining the Global Health Network. In this blog post, UK EQUATOR Centre Director Doug Altman summarises her massive contribution to the creation and development of the EQUATOR Network. Twenty years after the publication of the CONSORT Statement in 1996, it was clear that the impact of CONSORT and other reporting guidelines was inadequate. So in 2006 we sought and obtained a small grant from the National Knowledge Service (led by Muir Gray) for the “further development and application of guidelines for reporting health care research”. We recruited Iveta Simera as Senior Project Manager for this 12-month project, which led to the creation of the EQUATOR Network. Fortunately we were able to obtain continuing funding and Iveta remained with EQUATOR until 2017, in recent years also as Deputy Director of the UK EQUATOR Centre. Arriving right at the start of this new initiative, Iveta played a fundamental role in clarifying goals and short-term objectives, organising an initial meeting of experts, and helping to persuade funders to support EQUATOR after the initial funding ran out. Over the years she took a leading role in every aspect of EQUATOR, including developing our strategy, growing the Network, networking with numerous relevant organisations, achieving funding, developing the website and other resources, and building up the UK EQUATOR Centre. Iveta led the organisation of several successful international meetings and the creation of our training programme. Indeed, there is no aspect of EQUATOR activity in which she did not play a major part, so that the success of EQUATOR thus far owes a massive amount to Iveta. As a particular example, Iveta initiated and pursued our collaboration with the Pan-American Health Organization (PAHO). This involved many discussions over a long period and has led to a richly rewarding collaboration, including publishing an action plan for universities to improve reporting and translating key resources into Spanish and Portuguese. As Deputy Director, Iveta was instrumental in building up the strong team that is the UK EQUATOR Centre today. “Iveta’s complete dedication to improve the reporting of health research was an inspiration. We miss a knowledgeable, supportive colleague and friend!” says Angela MacCarthy, EQUATOR Oncology Fellow. Sadly for us, Iveta has now left EQUATOR to take up a role with the Global Health Network, where we wish her continued success. We are delighted that Iveta will continue her involvement with EQUATOR as a fellow of the UK EQUATOR Centre.